Google Shopping is one of the largest comparison shopping engines available online and can provide your ecommerce store, based on the CS Cart platform, with a high amount of visibility. Google Shopping has been helping millions of web stores worldwide, and you can benefit from it too. 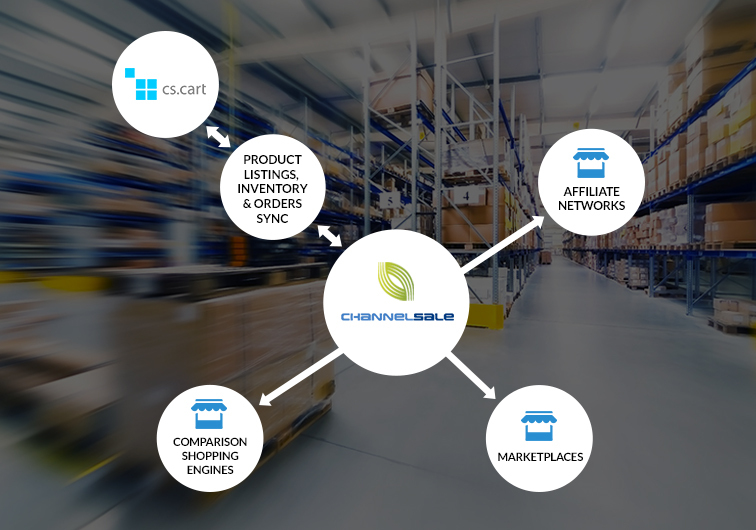 Trust our CS Cart Google Shopping integration services at ChannelSale to work wonders for your business! We make use of CS Cart Google Shopping plugin and other effective software management tools in order to ensure proper and effective integration at all stages. We can assure you that your products will be seamlessly synchronized to those showcased on Google Shopping. Our marketing pros can promote your store products easily across various channels and guarantee higher online visibility for you. We can also assist you with the management of your ecommerce store, by providing you with various services like real-time inventory management, automated product listing and shipping and order tracking management services. You can let us manage your Google shopping store and while you can be relaxed and easy. We synchronize your store products with the most suitable item categories from Google Shopping with granular level item category mappings through our CS Cart Google Shopping extension. We create marked up pricing for varied shopping engines, such as Google Shopping. We can also prepare varied cost structure for every marketplace online. We use CS Cart Google Shopping connector to sync your web store products with that of Google Shopping. We can associate Google Shopping product listings with your CS cart store products parent-child relations. We can help you with the sales of items of any type, colour, size or shape. Whether varied or simple products, multi-varied items, bundles, kits or group products, we can support them. With the aid of our advanced CS Cart Google Shopping app, we can showcase your products to potential buyers within the least possible amount of time. To know more about our services, or to start with us, you can give us a call on +1-866-709-9495 or send a mail at info@channelsale.com and have a discussion with one of our ChannelSale Client Service Executives.